It was the spring of 1949 and the graduate students at the School of Fisheries at the University of Washington were all looking for jobs. The most exciting ones were in Alaska, but for a young biologist with a family in the Northwest, a job with the Oregon Department of Fish and Wildlife sounded like just fine. Dayton Lee Alverson was soon posted to Astoria, replacing an assistant biologist who couldn’t shake getting seasick. At the seafood lab he found an UW classmate he called Sig Westrheim (also known his friends as Jergen; Jergen says it was the drill at UW that you used your first name, or an abbreviation of it, and his first name is Sigurd). Jergen showed Bob the ropes: they would be surveying what kinds of fish Oregon trawlers were catching. They would identify and count the fish, measure them, weight them, and take scales. They were gathering the most preliminary information. In a previous post, I wrote that Jergen’s work in Astoria was the start of fisheries management and he corrected that it was the start of the fishery study; management would come later. 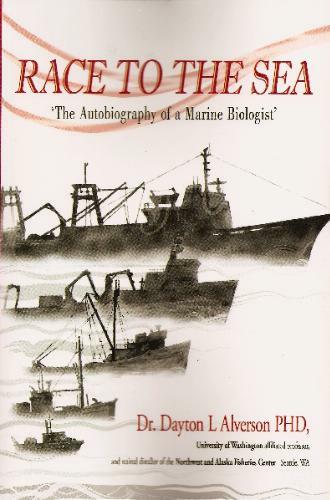 Alverson recalled that summer in his autobiography, Race to the Sea: An Autobiography of a Marine Biologist, published in 2005 by iUniverse. It’s a rich read, by one of the Northwest’s most prominent scientists. He wrote it for his family, so fish junkies like me have a long list of things he did NOT write about (such as chairing the Kirby Report on the collapse of Newfoundland cod stocks). 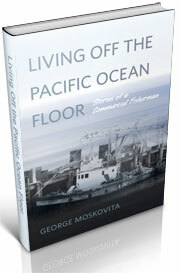 But he does write about his first trip on a trawler, the Harold A, between Astoria and Newport, sampling for catch. 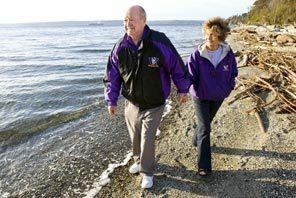 When the boat crossed the notorious Columbia River bar, Alverson was out of his bunk, certain the boat was going to sink. It wasn’t. His job that day was to look at what the Harold A caught. That Newport fisherman was Captain Gordon White, on the F/F Yaquina and Alverson would soon meet him. But in the meantime, he had fish to sort and eventually he had a pile about forty rockfish “of all colors and shapes.” He got his reference book, Clemens and Wilby’s Fishes of the West Coast of Canada, and set about identifying fish. Most of them were long-jawed rockfish. 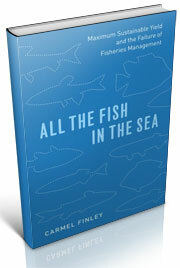 But there were other fish that Alverson’s reference book listed an uncommon or rare. The second tow of the net was bigger than the first. The Harold A had moved deeper, to 105 fathoms. After two tows of the net, Alverson found twenty-seven different species of rockfish–and six that he could not identify. He bagged them to take back to the lab at the School of Fisheries. The Harold A was on its way to Newport and Alverson spins a good yard about drinking with the fishermen at the Abbey bar on the Bayfront (alas, no longer there). They arrived back in Astoria were 42,000 pounds of fish. The rockfish sold for four cents a pound and the flounders for five. The gross was just over $2,000. 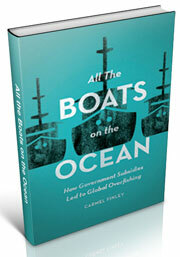 The boat share was 37 percent, leaving $1300 for the crew to share (minus food and fuel). This entry was posted in Carmel Finley, Dayton Lee Alverson, Environmental History, Fisheries policy, fisheries science, Fishing, History of Science, History of Technology, Maritime History, Ocean fishing, Pacific Fishing History Project, Resources About Fishing, Rosefish, Sebastes rockfish, World History and tagged Astoria, F/V Yaquina, Fishing, Oregon, Pacific Ocean Perch, University of Washington. Bookmark the permalink.